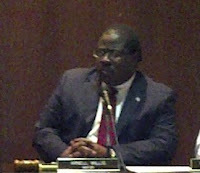 HELENA-WEST HELENA- According to information obtained by the Inside Scoop Online, embattled Parks and Recreation Director Anthony "King Deuce" Banks was on the job Friday and had a meeting with Mayor Arnell Willis where Willis was overheard by a passer-by telling Banks, "The sun will come up tomorrow. Everything will be all right." Promised Statement on Banks Friday. Statement did not come. Willis was reached by phone Friday and asked would he be taking any action regarding Banks. Willis replied, "I will be issuing a statement on that today. I take this matter very seriously. I have been busy with other city business and will get to that later today." The statement never came. However, what city business could be more pressing than insuring the safety of the city's children? What could have been so pressing that the Mayor would not have moved alleged sexual assault with a minor by his Parks and Recreation Director to the top of his priority list? All Willis added to his promise to provide a statement that did not come was, "We still have a Constitution." We also have eyes and ears. However, all indications to this point show that Willis remains firmly in the corner of Banks, who faces three felonies and an indecent exposure charge. 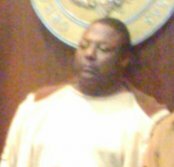 Willis stood by Banks's side at the Rule 8 hearing where bond was set at $50,000 by Judge Jesse "Rusty" Porter. In spite of that bond, local law enforcement officials released Banks on his own recognizance pending a court date as if he were charged with a speeding ticket. That's right. Banks has received the same treatment that someone would have facing a ticket for a headlight being out. Be sure you know where your kids are. Willis brought Banks in after he fired the widely popular and reasonably effective O'Shea Burrell. Banks had a previous criminal history prior to Willis tapping him to work with kids as the Parks and Recreation Director. Banks also faced accusations from a 12-year-old girl that he engaged in sexually inappropriate conduct on the job in 2011. That family chose not to put the child through the ordeal of pressing charges. Willis took no action in that case either, totally dismissing the validity of the allegations.